How are classic cars insured? The culture of owning a classic car is a unique and exciting one, between antique car shows, restoring the car, and engaging with others who share the same passion, there is never a shortage of activities to partake in. And while even though they are classic, these cars need to be insured just like every other vehicle out on the road. So, whether you are new to the classic car club, or have been around for a while, here is everything you need to know about ensure your classic car has the coverage it needs. A classic car straddles that line between a vehicle and a collectable. For this reason, classic car insurance is separate from your traditional auto insurance. Classic car insurance is there to provide coverage to those who use their car for hobby purposes and not frequent use, without breaking the bank. 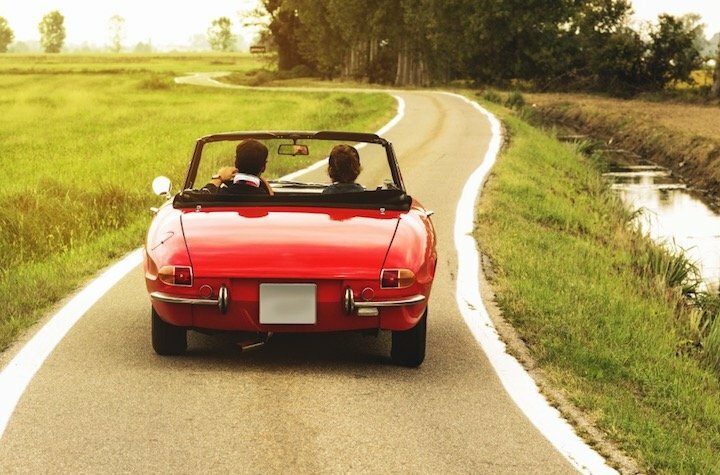 Because classic cars spend little time out on the road, and there is less risk associated with insuring them, the classic car insurance can cost a quarter of what it costs to insure a traditional car in Ontario. How do you qualify for classic car insurance? The intended use of classic car insurance is for those that use their car for hobby-related purposes. To qualify for this type of insurance, you must have a primary vehicle other than your classic car insured, and have a clean record with at least ten years of driving experience. Classic car insurance is a fraction of the cost of traditional auto insurance because a classic car tends to spend more time in storage and less time on the road. While the insurance allows the car to be driven on the road, there are many limitations as to how much you may drive the car; some providers even enforce a mileage limit on the policy. Depending on your insurer, you may only have coverage while driving to and from car shows and meetings, or while transporting the vehicle for repairs. Some policies are less strict, however, and offer extended coverage for leisurely drives along the picturesque countryside. How does it differ from traditional auto insurance? While a traditional car will depreciate in value, a classic car can do the opposite. So, the main difference in insurance options reflects that. When insuring a classic car, you must have the car appraised to figure out the value, which will be paid out to you in the unfortunate event that you need to put forth a claim. This value will not change until you decide to have another appraisal done. This is a big pull for those looking to ensure their classic car. The downside to opting for classic car insurance is the restrictions it puts on your driving habits, as mentioned above. It is great to have your classic car covered, but if you are the type that likes to go out and show it off on the road, it may not be the best option for you. However, if you primarily bring the car to auto shows and classic car related events, it is a great option to save money on insurance while ensuring that your classic car is covered. If you are unsure as to whether or not you should opt for classic car insurance, it is best to speak your insurance broker to ensure that you obtain the proper coverage.